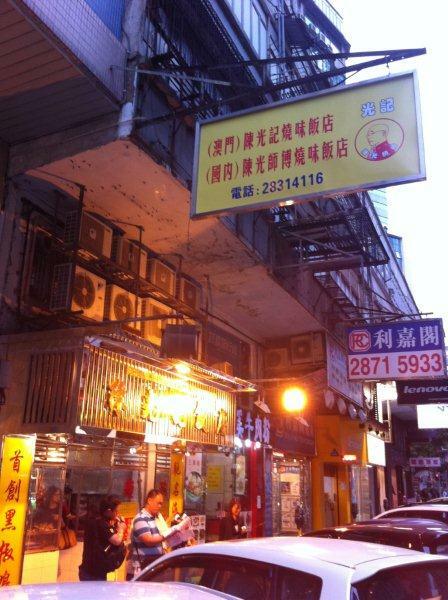 Was in Macau last Dec for a visit and my HK friend highly recommended this place for roast meats. Which sets me thinking… Roast meats… HKger recommend… It must be blardy good right that even a HKger rave about that place?!?! So soon after we checked into our hotel, we headed to the place which is just opposite Macau Square Mall and just opposite the famous Margaret’s Cafe for Portuguese Egg Tarts which I will be writing later after this entry. So we took a cab and all you have to do is tell the cab driver “陈光记” (Pronounced as Chan Kwong Gay), everyone knows where it is because this place is super famous with the locals with loads of history behind it and at the same time, Macau is such a small country. The Shop... 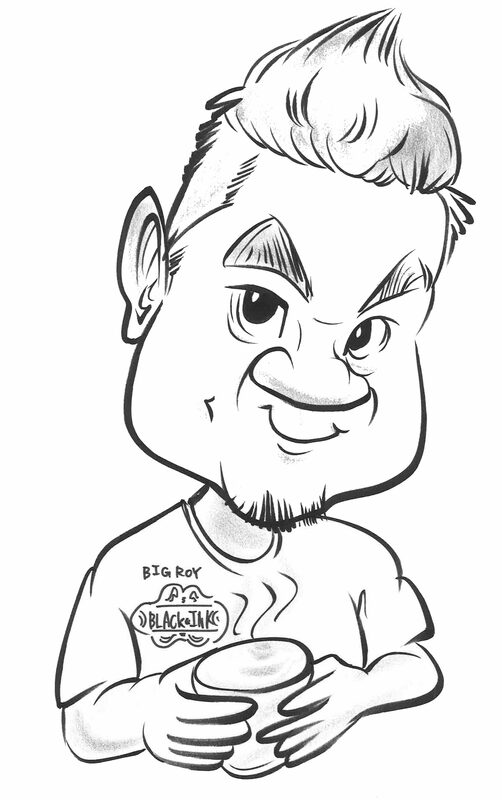 Think they do deliveries if you stay around the vicinity. Fwah!!! They were getting ready for dinner crowd... we were there around 4pm. Price List... The goose is pretty expensive... 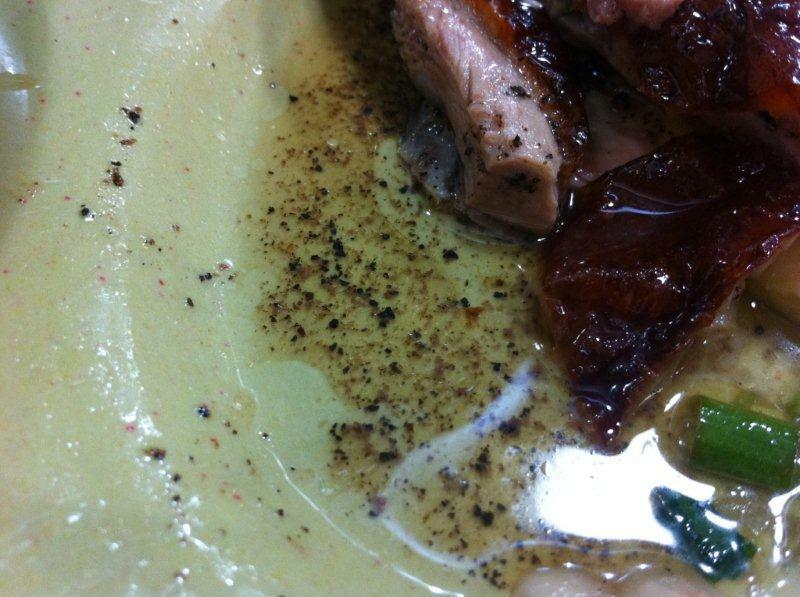 The duck is good enough though. 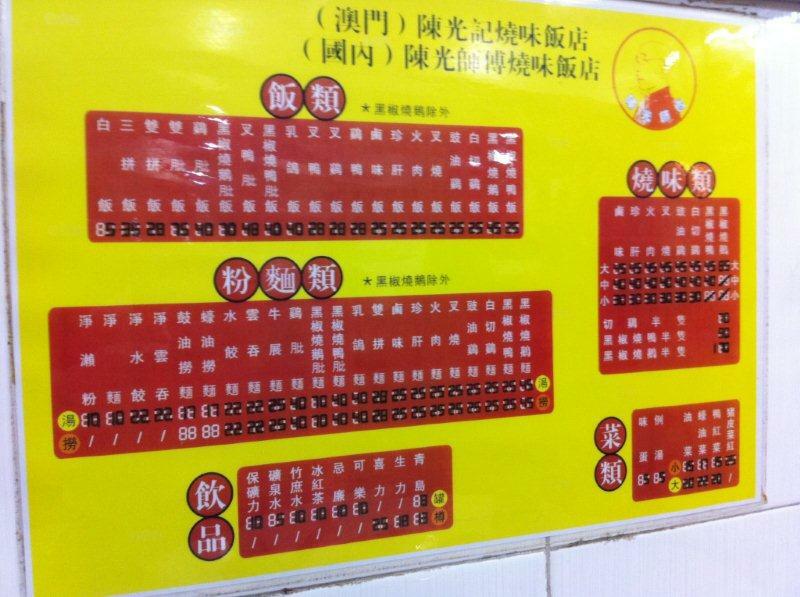 HKD is WIDELY accepted in Macau. No need to change to Macau Dollars. 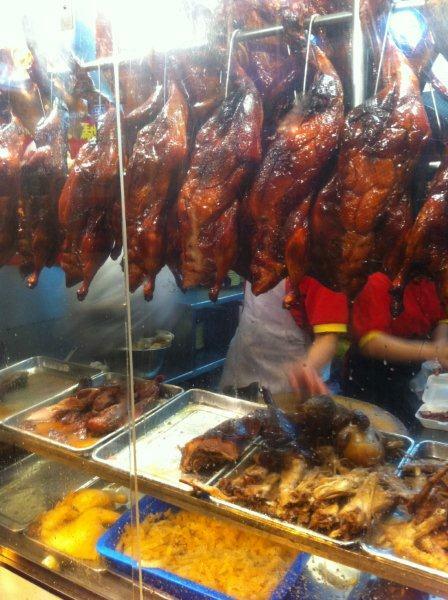 We ordered the duck and chicken. Quite good combination. 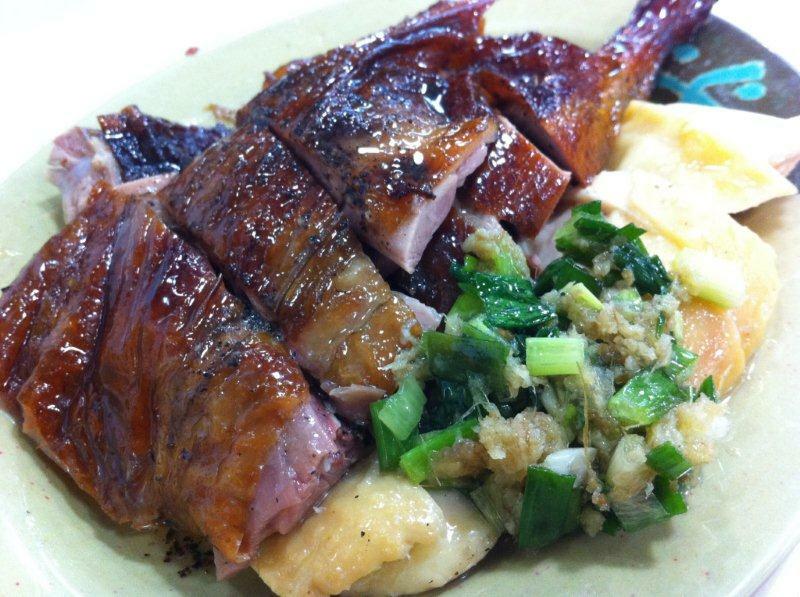 The duck has a very nice roasted taste... quite different from the roasted ducks we eat in HK, China or SG. Very tasty I must say. 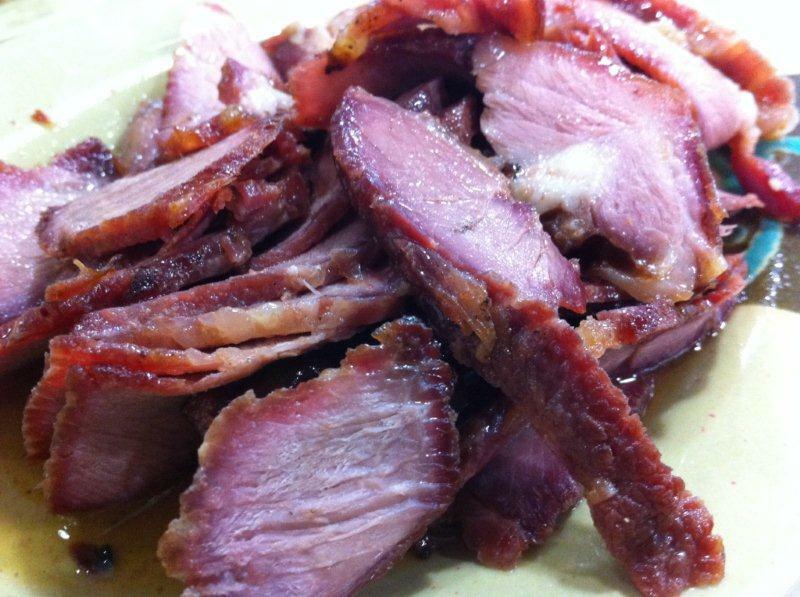 Char siew... can skip... too hard for my liking. Rating: 4.5/5. Would be a 5 if not for the price. It’s quite pricey actually but if it’s good, then it’s worth a try! Taste: Very nice and you gotta try it to know. 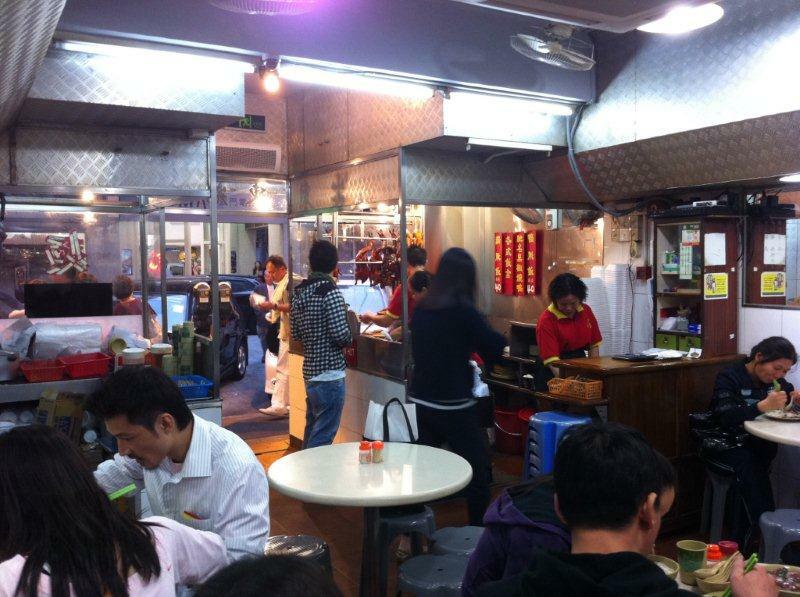 Price: Meal with drinks came up to about HKD$100. RTE: Yes, on my next trip! 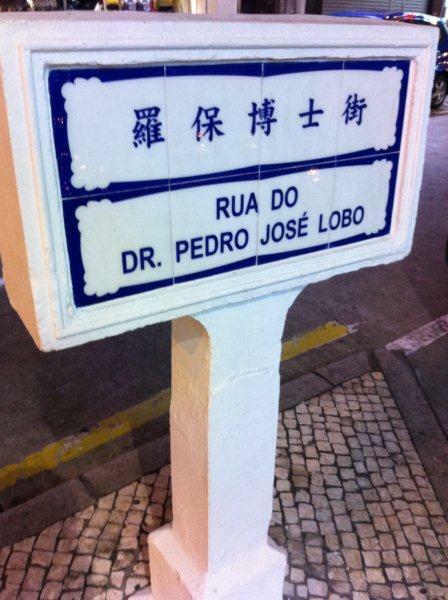 Location: Opposite Macau Square, on Rua Do Dr. Pedro Jose Lobo Road.